$8.09 ($0.16 / round) after applicable rebate. 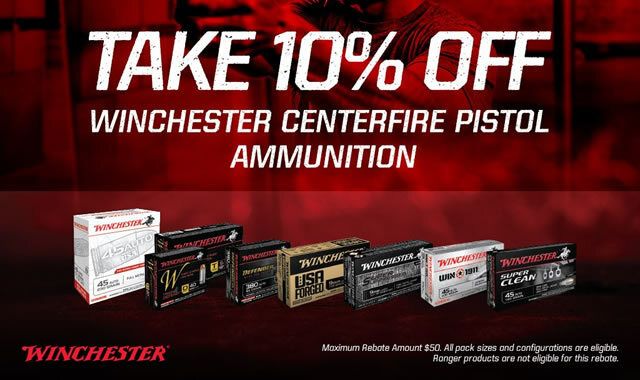 Receive 10% back from Winchester (up to $50) on all centerfire pistol products in these calibers: 9mm, 38 Special, 380 Auto, 357 Mag, 40 S&W and 45 Auto. 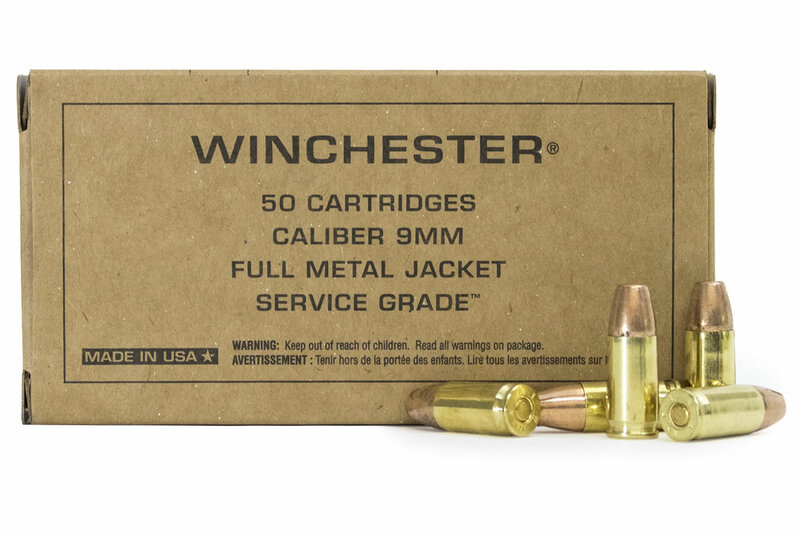 Winchester 9mm Service Grade ammunition is Winchester's newest addition to their line of Made in USA range and target shooting ammo. This new round features a full metal jacket, flat nose, 115 grain bullet, loaded in brass cases, making it highly reloadable.